Absinthe – just the word can turn people away from a drink, running like crazed Parisian artists through the streets to be never seen again. But what are they missing out on? Well a good Sazerac for a start, a wonderfully rich cocktail, an elegant mix of power and finesse. Absinthe or Absinth when used in the right proportions can be a stellar additive to a cocktail, it can be the seasoning that makes it just right, that subtle bite that gives the drink a lick of the devilish and has you coming back for more. The much sort after Sailor Jerry Spiced Rum, the authentic, old-school Caribbean rum, was launched in Australia in January through William Grant & Sons. Sailor Jerry Spiced Rum bears the signature of Norman “Sailor Jerry” Collins because it celebrates Norman “Sailor Jerry” Collins’ old school values of independence, hard work and unyielding standards of craftsmanship. Where is Sydney’s oldest pub? 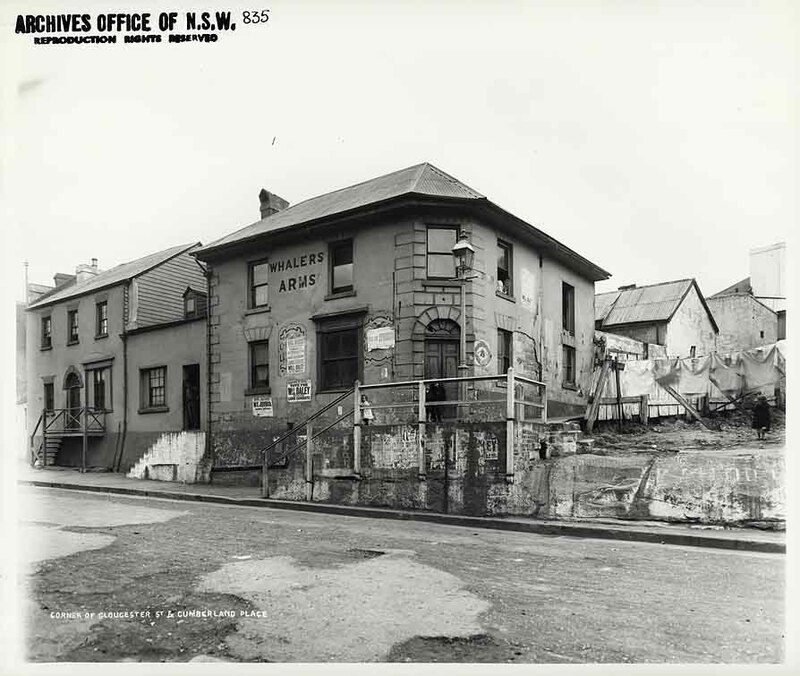 Whether the claim is ‘the oldest pub’, ‘the longest running continual liquor licence’ or ‘the oldest building ever used as a public house’ there will never be a definite answer as colonial Sydney was brimming with sly grog-shops and hotels from 1800 onwards. Furthermore, the irregularity with which liquor licences were issued would make it all but impossible to substantiate a claim of actually being the ‘oldest hotel’ in Sydney. Self described as ‘Melbourne’s newest vodka and Pintxos bar Naked for Satan is shaking up the bar scene with a healthy dose of creativity and style. “Naked For Satan is a Basque style Pintxos and Vodka Bar that serves Pintxos,” says Eddie Crupi. This tribute recently featured in the March edition of Bartender magazine. Hayden recently passed away and his friends informed us that he had always wanted to be in the magazine so as a tribute to him and his memory they answered the questions on his behalf. Ilegal Mezcal is now available in Australia, bringing a small piece of Oaxaca to your bar for everyone to share. To drink Mezcal is to enter the ritual of Oaxaca. The two are inseparable and one leads inevitably to the other. Ilegal Mezcal is a hand crafted, small batch Mezcal and made with both pride and reverence to a culture. “Rum has flavour, it has heritage, and it has quality,” says Dave Broom in his wide ranging work entitled (rather directly) Rum. That sonorous word one can’t help saying without a slight-smile. Rum, roll the ‘r’, has also been described in its early years as that ‘hot, hellish, and terrible liquor’. This was when rum was for slaves, indigenous peoples, the poor and the press-ganged and other more antisocial characters – your pirates, privateers, rebels and ye smugglers. Monopolowa Dry Gin is a superbly smooth gin and would be a connoisseur’s delight. Produced in a traditional manner, this unique gin uses the highest quality, triple distilled rectified spirits that are obtained from special varieties of potatoes, and a special and unique blend of the finest and choicest traditional natural gin ingredients (including juniper berries, orange and lemon peels, coriander, anise, fennel and ginger). The team at Avido began their journey in late 2010, with the aim of bring a ‘new style of culinary service’ to Paddington. The Italian or Spanish translation of Avido is ‘hungry, greedy or thirsty’, and the name is said to reflect their owners desire to offer a place where sharing great food, wine and conversation is easy and fun. The successes for the Vessel ventures keep coming with their latest opening at the established late night spot – King Street Wharf. Vessel’s Italian phase is set to introduce contemporary Italian style dining to one of the CBD’s bustling financial districts.